With nearly 30 years of experience working in design related industries, Mart Schaefer brings a keen eye and deep appreciation of visual placemaking to his role as an architectural designer. Mart originally began his career in the fields of marketing and graphic design, where he spent 25 years providing in-house and agency design services. As his career progressed, a developing passion for sustainable living caused Mart to re-evaluate his career path. Having spent his childhood living overseas with the military, Mart’s early exposure to a variety of cultures and societies left him with different expectations and understanding of the potential of “place,” and led to his interest in the concepts of “poetic placemaking” and the theopoetics of architecture. 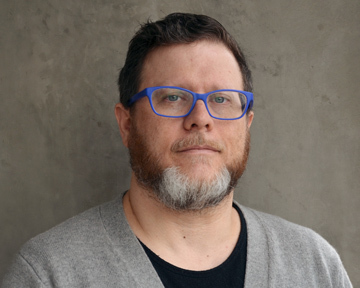 After earning a Master of Architecture and a Bachelor of Art in Architecture from Portland State University, Mart began his career in architecture working in collaborative design at companies like Design Office and The Felt Hat. His ultimate goal is to design public spaces that cultivate a sense of place and significance for the occupant.